There has been a rollercoaster of emotions at this year’s MMFF, especially for Best Picture Winner, ‘Ang Larawan.’ The journey has been far from easy for first-time film producers GR Rodis and Celeste Legaspi, owners of Culturtain Musicat Productions Inc., but everything seemed to pay off in the end. From getting rave reviews at the Tokyo International Film Festival (TIFF), to winning the MMFF’s most coveted award, the movie musical has also won Best Production Design for Gino Gonzales, Best Musical Score for Ryan Cayabyab, and Best Actress for Joanna Ampil. The film started getting a lot of attention when it did not get selected for the first round of MMFF entries last June. The producers had to submit it again for the second round of selections, and had only been deemed eligible on November 17, far later than its competitors who had begun their marketing efforts at a much earlier time. And the drama did not stop. Only a day after it opened on December 25, the film lost a significant number of cinemas the very next day due to a lack of viewership. But the accolades it garnered at the MMFF awarding ceremony last December 27, as well as its steadfast audience, created a surge in demand. “It all worked out,” said producer GR Rodis. “We’re still looking for additional theaters. Right now we’re at 56. First we opened with 53, then the next day we were 26, and then 23, and then 33, and then 56. So hoping pa rin kami for more theaters.” She said that there has been ongoing pressure from Filipinos in the provinces to let their cinemas show the film. Lead actress Joanna Ampil, who is known for her work in theater locally (West Side Story, The Sound of Music, South Pacific in Concert, Chuva Choo Choo, The Bridges of Madison County, Rebel) and abroad (Miss Saigon, Les Miserables, Jesus Christ Superstar, Cats), won one of the country’s most prestigious awards in her first foray into film. 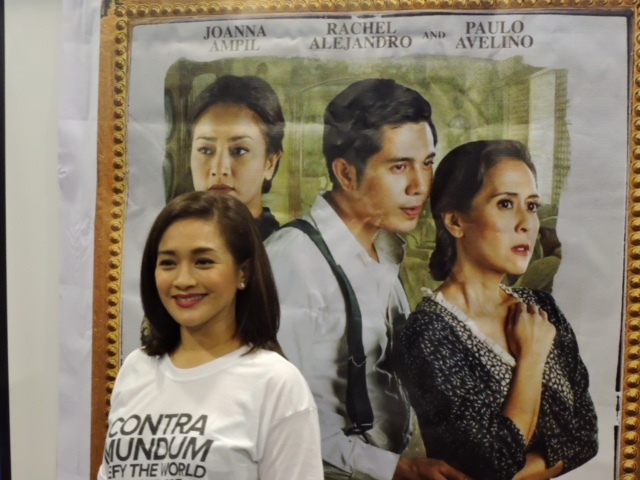 Rodis and Rachel Alejandro, Ampil’s co-star and one of the film’s producers, said that Ampil was the only perfect match for the role. 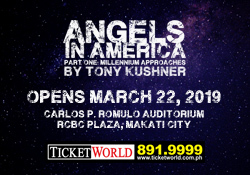 “Candida is not an easy role to sing,” said Alejandro. “She needs to have a beautiful voice which the audience wouldn’t mind listening to for 2 hours. And it’s a very difficult role to act.” They both said that they also needed someone who was very, very experienced, and someone who was at the right age, and Joanna Ampil was the only one who fit all the criteria.